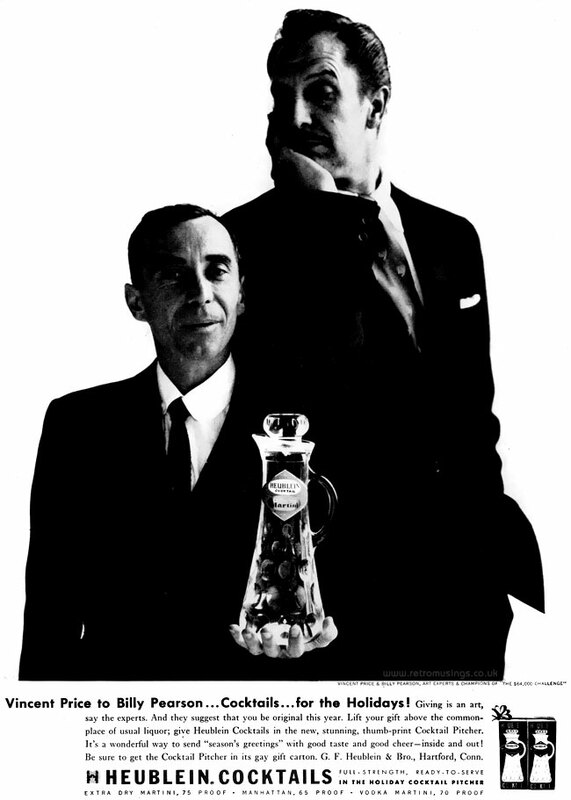 In Nov-Dec 1956, Heublein’s ready to serve cocktails produced two ads featuring actors Vincent Price and Billy Pearson. 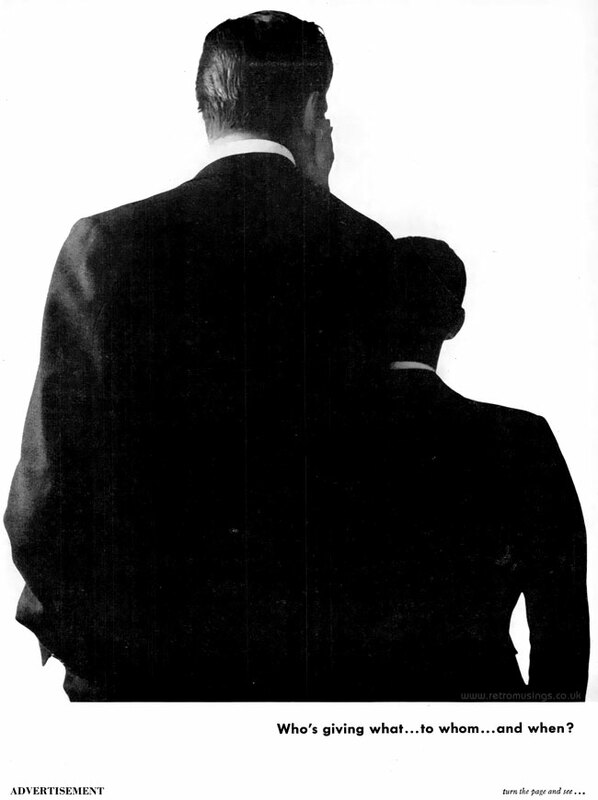 The first one was a double sided black and white ad, the second a single page colour ad. 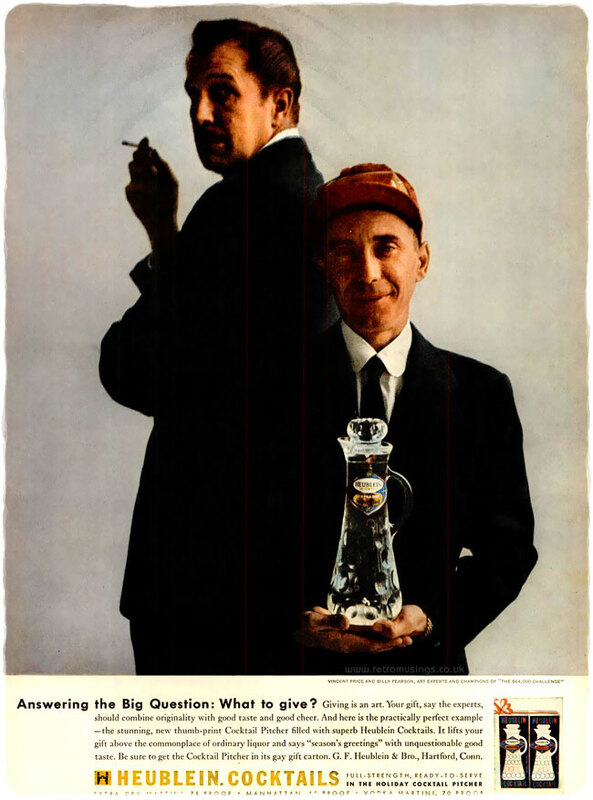 Both ads featured Billy holding Heublein’s thumb-print cocktail pitcher, the perfect Christmas gift!